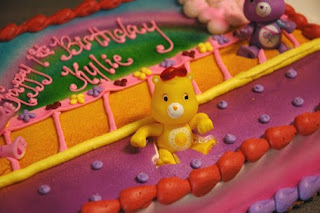 Jen Mirabile: Kylie's 1st Birthday! 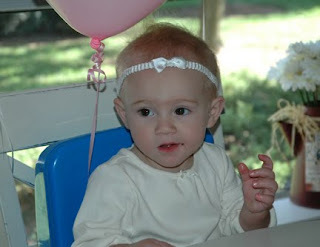 Last weekend was my niece Kylie's 1st birthday. 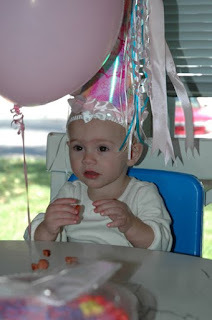 The whole house was decorated in pink and white balloons and streamers, it really was so sweet! 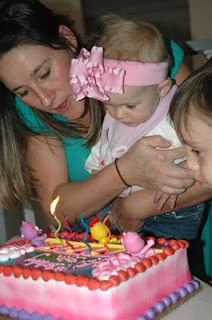 I loved being able to celebrate this with her and my sister and nephew. The weather was beautiful so we grilled hamburgers and spent some time playing outside. The fun part! 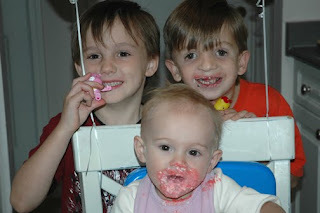 Getting to tear up your very own cake! 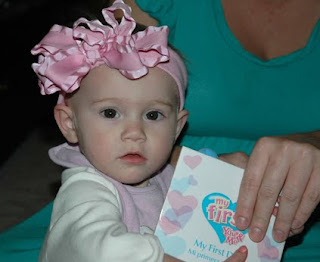 :) She loved it! She is just the sweetest little baby. Jared and I have really enjoyed having her here for the last month. Happy Birthday sweet girl!! 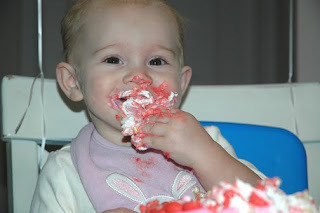 how cute is she :) Can't believe she is already 1!